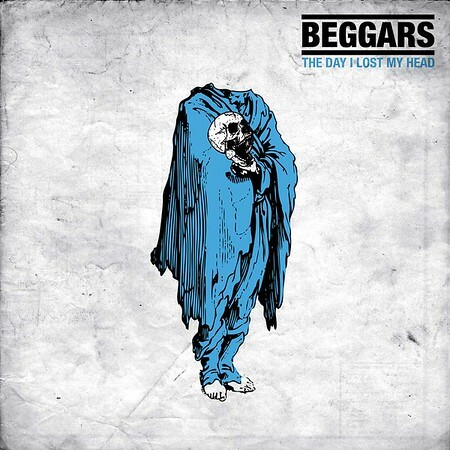 “The Day I Lost My Head” is the latest album from Greek trio Beggars and it was released on 10th August via Rock of Angels Records (ROAR!). The band formed in Athens in 2009 and was originally known as Beggar’s Blues Diary. I hadn’t actually heard of the band until we received the press releases from Rock n Growl Promotions but liked what I heard when I checked out the album. The track “Book of Days” was included on the Friday NI Rocks Show on 17th August. Singer / guitarist Yannis Passas and bass player Chili formed the band in 2009 and were joined by drummer Angelos Tanis in 2010. The first full length album was “Back to Basics” in 2011. That was followed by “The Truth” in 2013, “Desperate Rock n Roll” in 2014 and “Devil’s Highway” in 2015. The first three albums at least, were released under the name Beggar’s Blues Diary and I’m not sure when the band name was shortened to Beggars. There are nine riff-full tracks on the album and any fans of heavy or stoner rock will want to check it out!